60 cm 4 zone induction cooktop is rated 4.8 out of 5 by 25. 590W x 520D x 46H(mm) ? 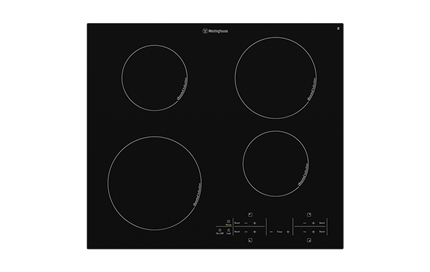 60cm 4 zone black ceramic induction cooktop with touch on glass controls, pause and QuickCook timer (TM) function. 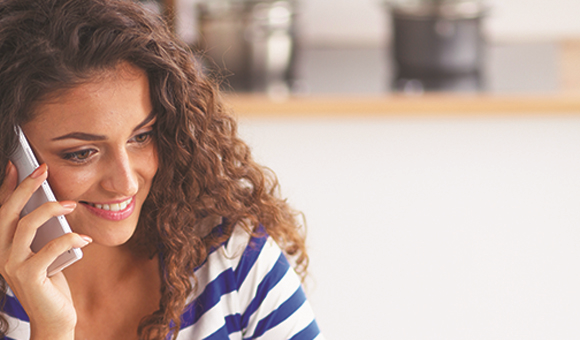 When you're cooking, those pesky interruptions wont be a bother anymore. That's because you can simply pause what you're doing. Just press the Pause icon on your cooktop and all operating zones will drop to a Keep Warm mode. And when you're ready to resume, touch the Pause icon again and all zones will return to their previous setting. 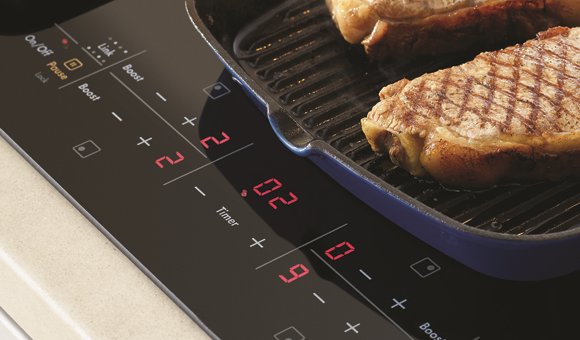 Now even when things get busy in the kitchen, you'll never lose track when you're cooking. This nifty timer counts down and even turns the zone off. Now you can cook the perfect steak or boiled eggs or any other meal exactly to your liking. You'll never ruin a quick family meal again! Frameless ceramic glass is stylish and so easy to clean. Rated 5 out of 5 by tower29 from Great hob layout! I bought this 5 months ago and have been very pleased. The hob layout is a wonderfully designed allowing me to have a pasta pot with 3 saucepans on the go with no crowding or handle issues. I can also comfortably use 2 large frypans with a small or medium saucepan and have no issues flipping pancakes for example. The boost feature is fantastic and a great timesaver and the temperature settings are consistent. It's easy to clean and despite quite a few accidental boil overs while still learning which temperature setting to use, I haven't had any, issues easily removing burnt or baked on spills, even sugar syrup and caramel! Rated 5 out of 5 by Heather from LISA Inc from Presion controlled safe cooking We replaced a very old and well used ceramic cooktop with a Westinghouse WHI644BA induction cooktop with heat control as good as gas, far superior with that of ceramic, and easy to install in one’s kitchen bench top by a qualified electrician. Although the cook plates get hot, this is only due to the surface contact of the cooking vessels not radiant heat as with ceramic. So the cook plate is much cooler and not using energy to directly heat the cook plates. Nevertheless, there is a hot warning indicator. 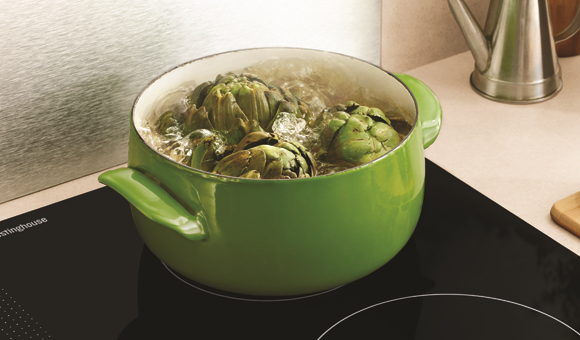 And, cooking vessels do not suffer radiant heat as with gas and ceramic. The cook plate timer can be used as a stand-alone timer or be directed to switch off any of the cook plates after a set period. So one can bring to the boil, then time the food to boil for a specific period with no overrun as the cook plate shuts down instantly. Our speed test was 450ml of cold water boiling in 2 minutes with setting 9 on the mid size cook plate. The pause facility is great when one is disrupted by such as the kids or the phone And the lock stops those little hands playing on the touch controls. With its very logical and uncluttered touch control panel, the WHI644BA is precision controlled safe cooking - we can’t fault it. Rated 5 out of 5 by Strega from Very Efficient I bought this a few months ago. I find it very convenient because it is fast to heat or boil and I can then turn down low for gentle cooking. Easy to clean and looks good. Even my 30 year old stainless steel pots work on it, so I didn't need to buy new cookware. 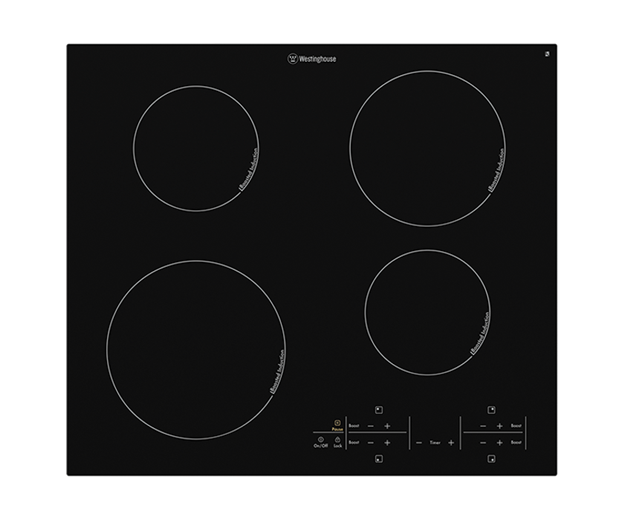 Rated 4 out of 5 by JDee from Goodbye Gas I've had this for 4 months now and I am impressed with how good an induction cooktop is, I'm glad I paid a bit extra. Having only used gas previously I was worried about heat up time and control but I'm quite happy with the performance. I miss being able use a wok properly or the ability to shake and toss the pan due to the glass cooktop even though it seems quite durable I don't want to test it. The cooktop is quite easy to clean with just a few wipes of soapy water, unlike gas where it you have to remove items to clean it properly. Also it is a lot safer with regards to children, as they can't accidentally turn on gas and no naked flame. Compared to a standard electric element cooktop it is also safer because without something on an element means it won't heat up and automatically turn off. Also you have a child lock and even without it you need to press the on button and press another button for the element. Power wise I have seen no real change in my electricity bill. The only downside electrically is probably needing a new circuit just for the cooktop to be installed if you haven't had an electric stovetop before which is a few hundred dollars. All these issues are for induction stovetops in general not just the Westinghouse. After using it for a bit I think having the controls on the side would be better than up front, then the front small element could come down to give more room for the larger back element. If you have pots and pans with tops that curve out then there might not be enough room to have them both on the elements properly. If I had the space and money I would have got a 80-90 cm cooktop. The cooktop is quite slippery so you have to keep checking it is covering the elements properly after stirring or shifting the pan but it is glass and you quickly get used to it. Overall though I am quite happy with it happy. Rated 5 out of 5 by Wendy22 from Great Features We brought this cooktop and are very happy. Features are great and is easy to use. Rated 5 out of 5 by Lucky from A1 Absolutely wonderful, quick, instant results. A quality Australian product.